Only 250 of these specialized 3T smartphones will be sold. The smartphone market is constantly filling with devices of all shapes, colors, and specifications, from high-end flagships like the iPhone 7 or the upcoming Samsung Galaxy S8 down to more budget-oriented devices like the Moto G4. One of the better choices on the market is the OnePlus 3T, which does basically everything its more expensive rivals from Apple and Samsung do, albeit at around half the cost — just $439. The drawback was that there was no real zing, no cool factor to make the 3T stand out from the crowd. 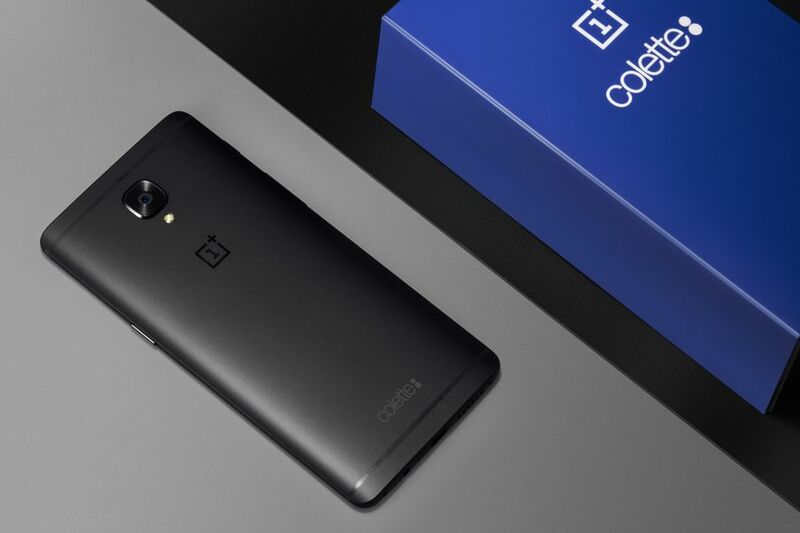 That's now changed, however, as the crew at OnePlus have teamed up with Parisian retailer Colette to introduce a very special limited-edition OnePlus 3T. When they say limited, they mean it: only 250 Colette 3T models will be available for purchase, and they will only be available for purchase locally at the Colette store in Paris, starting at 11 a.m. on March 21. Buyers able to make that trip — and swing the slightly-higher $510 price tag — will be treated to a handset featuring an engraved rear case and 128GB of internal storage. The rest of the phone sounds to be identical to the base 3T model, including a Snapdragon 821 processor, 3,400mAh battery, 6GB RAM, 16-megapixel front and rear cameras, and a 5.5" 1080p AMOLED display. Though the changes made to the Colette 3T aren't what most people would call drastic, they certainly are enough to kick up the cool factor. And even at its slightly-inflated price, the Colette 3T is still more powerful than phones costing $300 or $400 more. In regard to both style and performance, then, the limited-edition 3T looks to be in a class all its own.